It’s not rare to find clones and ripoff games on Steam or the app store. The video game market is full of asset theft, much to the dismay of hard-working developers everywhere. But how often do you find a ripoff game that’s actively marketed by Sony? Solbrain: Knight of Darkness, a new adventure game that egregiously takes art and music from other games without permission, might not have made much of a blip if it weren’t highlighted several times by the PlayStation YouTube account. A gameplay trailer, posted on Sony’s official channel back in February, has over half a million views. Why is Sony giving marketing support to a game that appears to rip other games off? It’s immediately concerning to look at Solbrain’s page in the Playstation Store. The icon appears to use art from an uncredited DeviantArt account. A look at the main protagonist’s armor reveals something quite similar to a heavy armor set available to the Elin race in the MMO TERA, which came out in 2011. Most jarring of all is the game’s trailer. Featured front and center on the store page, the trailer seems to lift its score directly from the indie game Ori and the Blind Forest. The track in question is “Restoring the Light, Facing the Dark” by composer Gareth Coker. It was enough to have Ori director Thomas Mahler comment incredulously in a NeoGAF thread that noticed the similarity. “Whoa, they just stole our music from Ori and the Blind Forest,” he wrote. When contacted by Kotaku, Mahler did not offer a complete statement but said the team is working with their publisher to resolve the situation. Solbrain also appears to ape major assets from Skyim. The main character’s shield is a dead ringer for Skyrim’s Dragonscale shield. I’ve had the distinct misfortune of playing Solbrain: Knight of Darkness, which is on sale for PlayStation Plus members, and highly recommend you do something less painful. Like hiring a biker to punch you in the solar plexus. It is entirely unclear how Solbrain: Knight of Darkness made it through Sony’s console certification process, let alone received prominent placement on the PlayStation YouTube channel. All PlayStation 4 games must go through a compliance process in which they are played and checked by Sony’s group of quality-assurance testers to make sure the game runs. Did nobody notice how much of the game’s assets are taken from elsewhere? Sony has not yet responded to a request for comment. Attempts to learn more about the game’s developers, who call themselves Lighting Game Studios, turn up a host of dead ends. The developers appear to have removed their presence on Facebook, YouTube, and the Unity blog. They also seem to have locked their Twitter account. What we do know is that the company has released multiple Solbrain titles on the Vita. 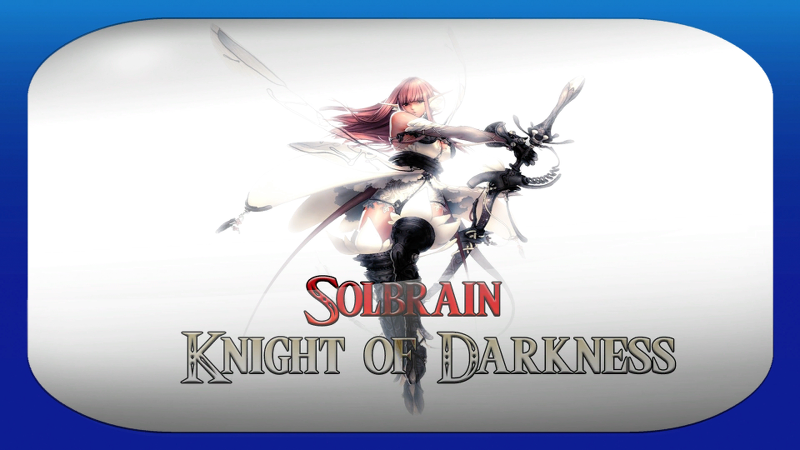 Looking over Solbrain: Knight of Darkness, I have to wonder about quality control practices for the Playstation Store. Without stricter oversight, we may very well see more pilfered assets sneak their way into retail games that just barely meet certification requirements. There’s an opportunity to learn from this situation and protect creators from having assets copied and I hope that Solbrain highlights just how much work needs to be done.